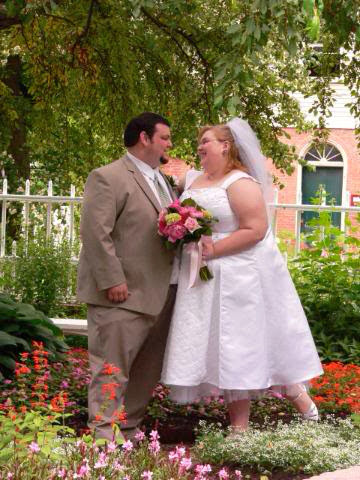 Dave and I are going to be celebrating our 13th wedding anniversary at the end of this month. Thirteen isn’t a milestone anniversary or anything, but thirteen years ago was a long time ago! 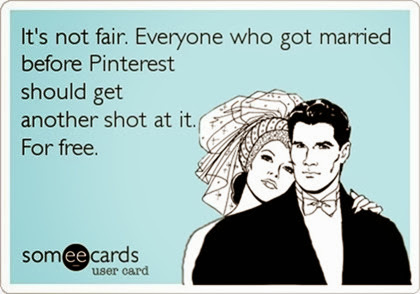 There was no Pinterest when we got married. Our photographer didn’t even use digital photography! It’s a different world out there now. I was inspired by a series Rachel at Holy Craft did earlier this year in which she planned a Pinterest Wedding Do-Over – she detailed all the things she would include in her wedding if she was to do it over again. I’ll be sharing my own Pinterest Wedding Do-Over later in the month, but I’m also going to be sharing some posts from my blog friends this month all about their weddings and the unique things they did to make their weddings special! Today’s blog post comes from Leslie at Violet Imperfection! 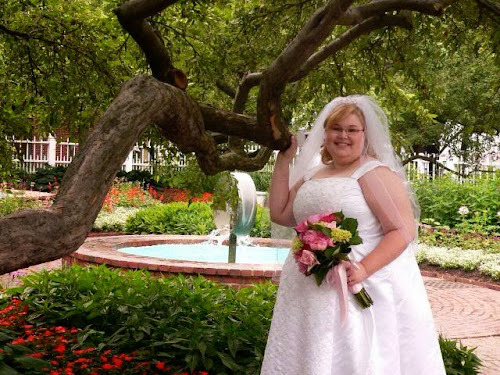 Read on to see how she DIY’d her wedding! 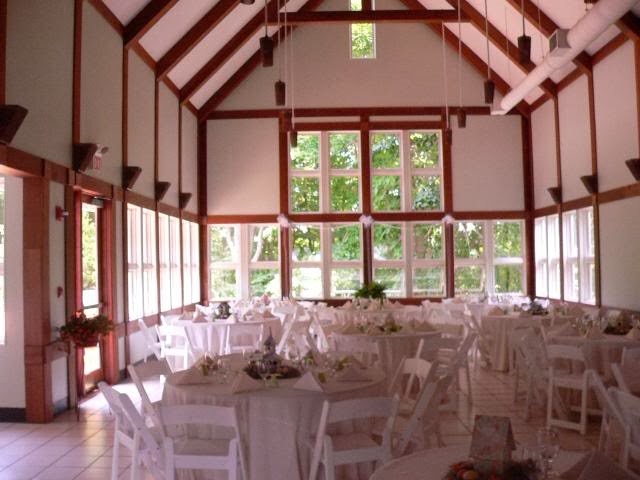 I’m going to tell you a secret…I don’t really like weddings. I know! Don’t tell anyone! Maybe I should clarify, I don’t like being the center of attention and your wedding day is all about being the star of the show. I would have been more than happy eloping or a destination wedding but my dear husband, Marc, wanted the big deal wedding. We had a very do-it yourself type of wedding. We made the invitations, table center pieces, seating chart, guest book, favors, decorations, my aunt did our photos and my mom even made my wedding dress. 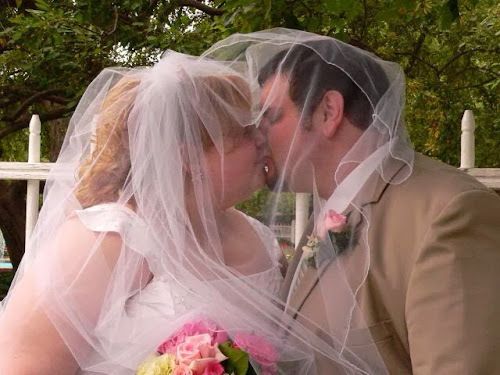 We were married on June 28, 2008. For our guest book we did something a little unconventional. 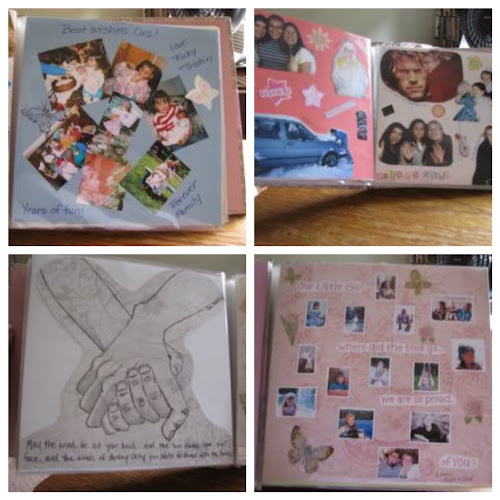 When we sent our invitations out we also sent our guests two pieces of card stock and a request for them to draw, write, paint, etc something for us to add to our guest book. It turned out better than I could have ever imagined. We decorated wooden birdhouses as our centerpieces, Marc is an expert with mod podge. 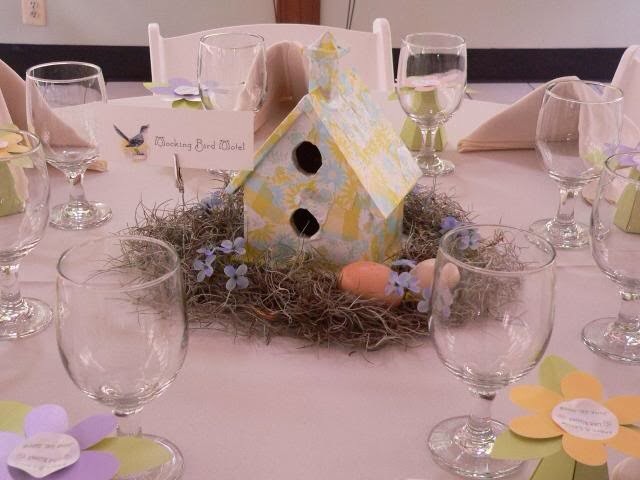 Our tables had bird names, like Mocking Bird Motel. 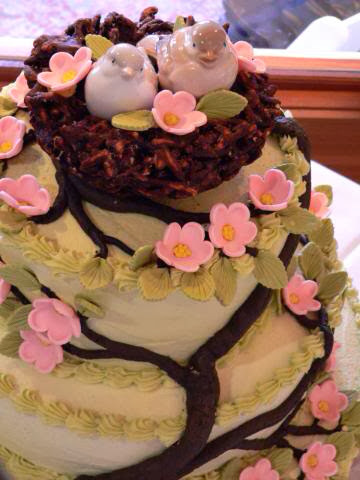 Marc’s aunt made our cake and it was spectacular. 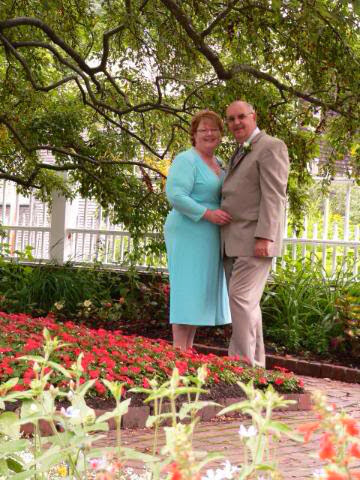 One of my favorite things about our wedding was that we were married in the same park as my parents. It was very special to me. My mom and dad in the spot they were married. I also loved my dress that my mom made. It was very nerve wracking having no concrete idea on what it would look like but it was perfect and reflected my personality. My mom even did the beadwork by hand on the front panel. My grandmother passed away when I was 13 and I still think about her everyday. 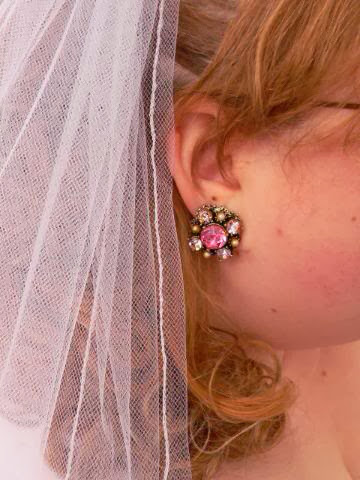 I asked my aunt for something of hers that I could wear on my wedding day and I picked these awesome vintage earrings. We even incorporated them into my daughter’s newborn photos. 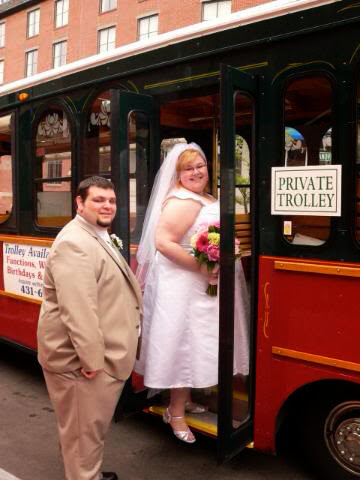 Another cool thing we did was rent a trolley to transport our wedding guests to the park we were married at. Our reception was low key, we didn’t even have dancing. It was just a time to mingle and celebrate. I loved planning our wedding and to get through the day of being the center of attention I just focused on Marc and becoming his wife. Which after all that is what a wedding is all about.